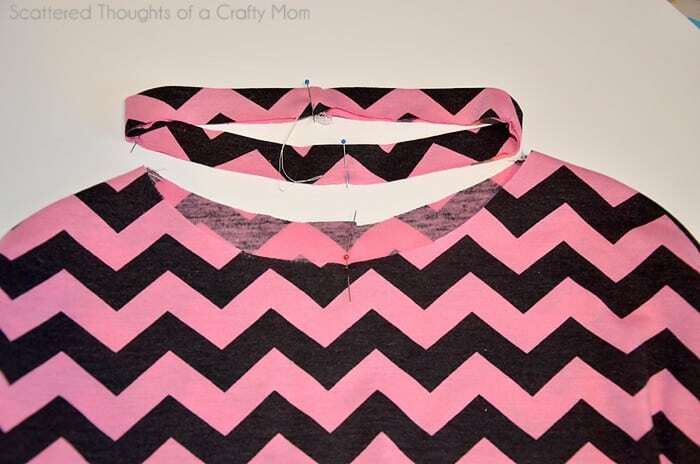 Jamie from Scattered Thoughts of a Crafty Mom is here with us today sharing this adorable Tie-Front Dolman Top Tutorial. 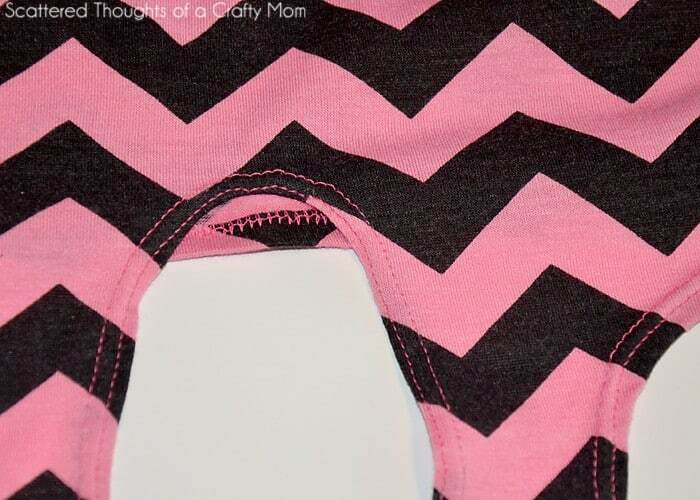 You may remember her from the Fitted Apron Top tutorial she shared with us a while back. 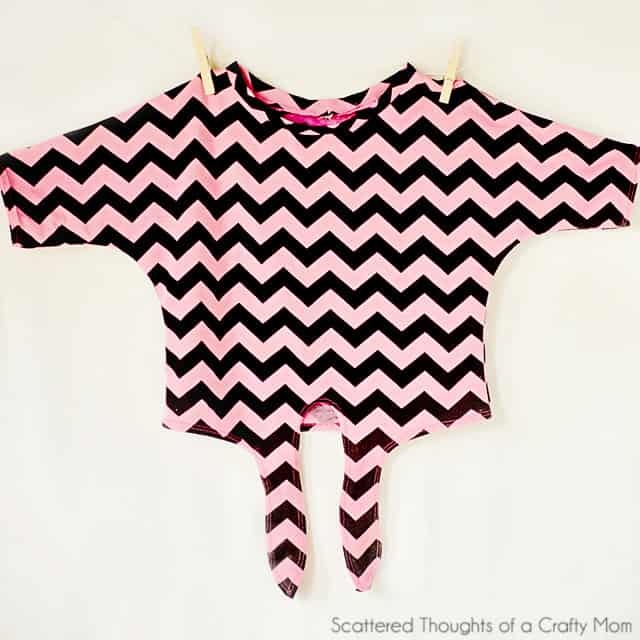 This cute top can be made using a T-shirt you already have to make the pattern or with her downloadable pattern, which means you could make one for yourself too. 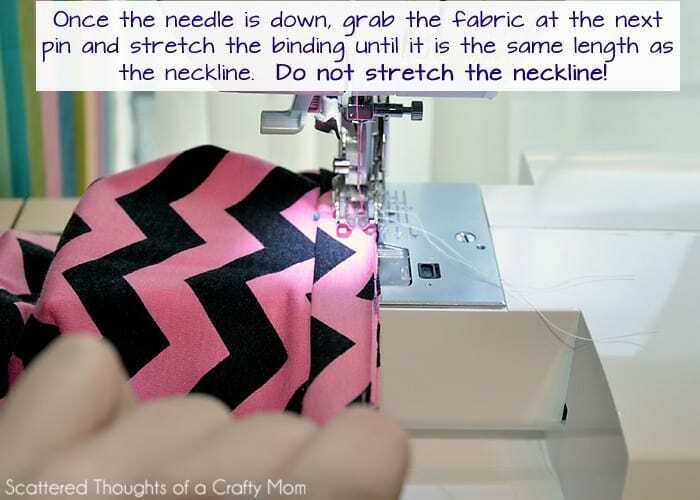 If knits make you a little nervous, start off with the Sewing Jersey 101 and the Beginner’s Jersey Baby Dress. 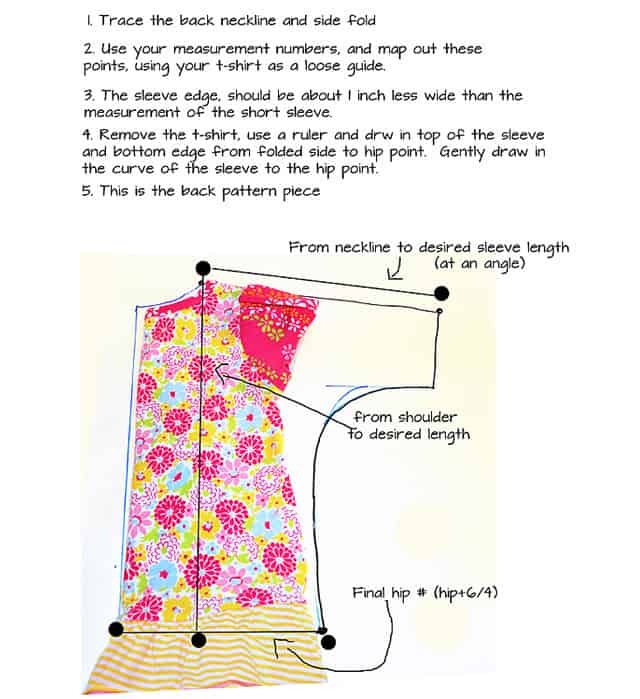 You should also check out Jamie’s Peasant Dress Tutorial with Free Pattern, Boho-Maxi Dress Pattern and Tutorial, and the Rainbow Zipper Pouch. For a little sewing break, try out her Healthy Banana Oatmeal Cookies. Hi Everyone! 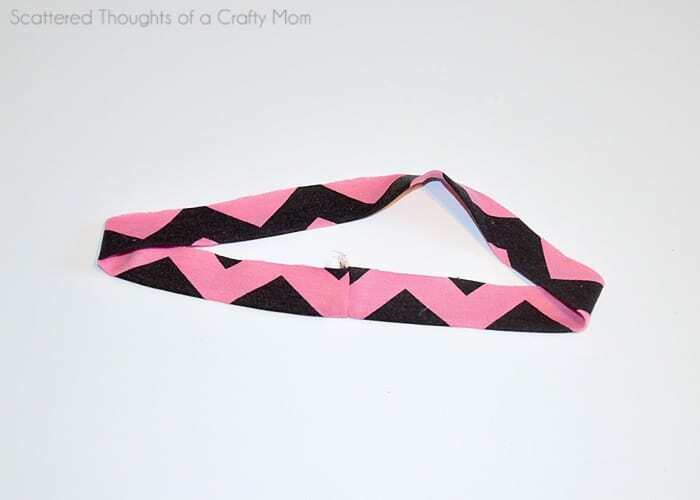 My name is Jamie from Scattered Thoughts of a Crafty Mom. 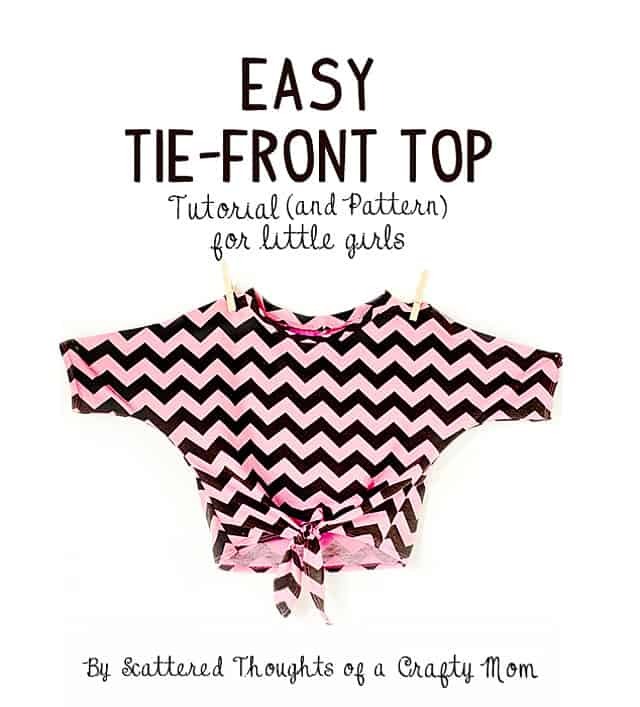 I am so happy to be able to share this Tie Front Knit Top Tutorial with the Pretty Prudent’s readers! 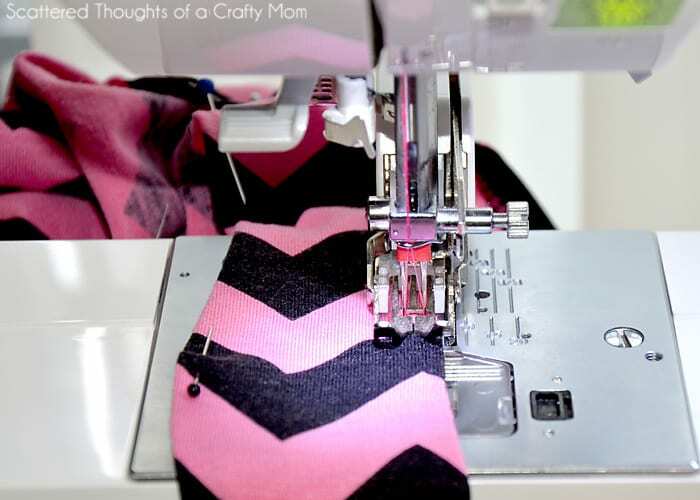 My blog is all about sewing, crafting and fun family recipes. I would love for you to stop by sometime and see some of my projects. 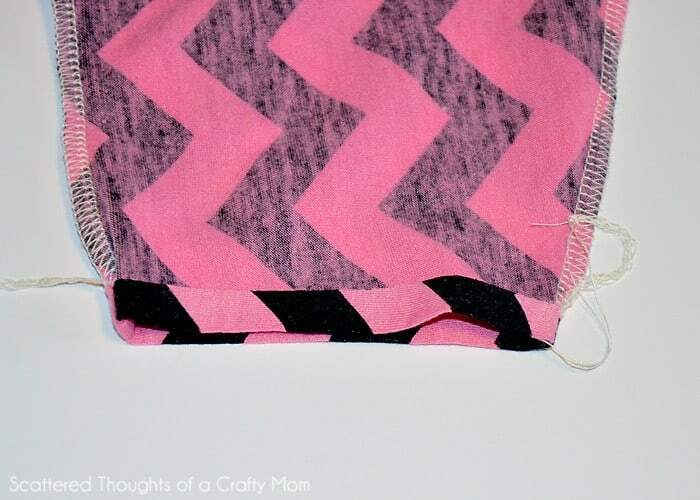 I think I totally nailed it with this little tie-front Dolman-style knit top! 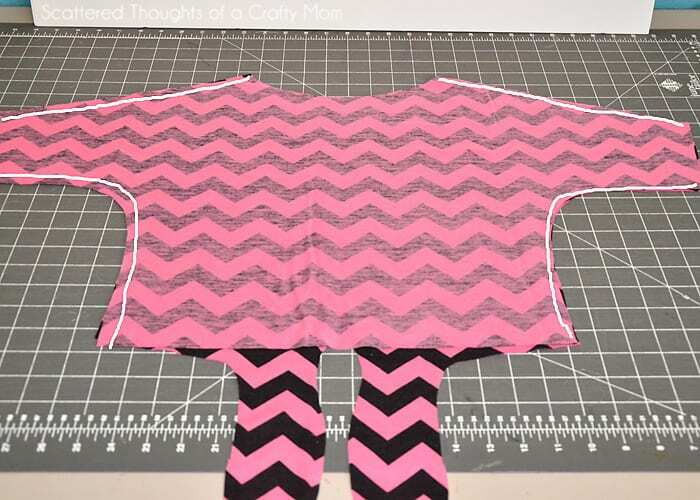 I didn’t time myself while sewing the top, (I take multiple breaks when sewing) but not counting the time it took to create and cut out the pattern, I am guessing it took no more than 40 minutes to make this top. Yep, it’s that easy! 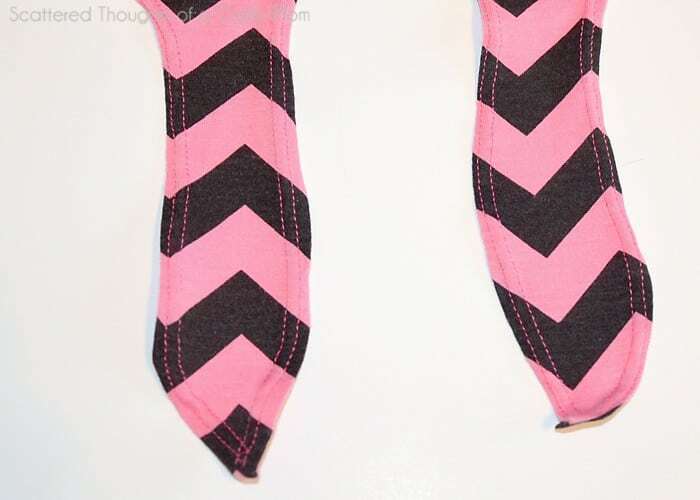 If you want your knit projects to have a professional look, you’ve got to have the right tools: a walking foot and a ballpoint stretch twin needle. 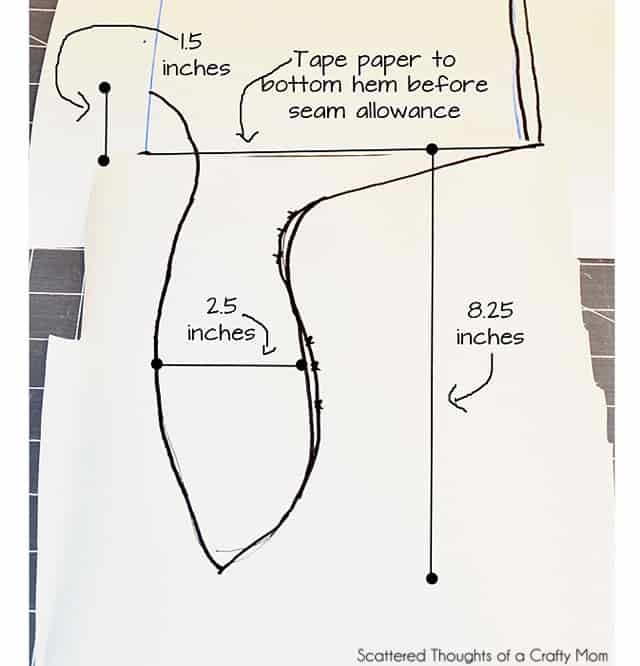 The walking foot (I use this one on my singer) and stretch twin needle (along with a loosened tension and lengthened stitch) will allow you to hem your knits without stretching out the hems and seams. 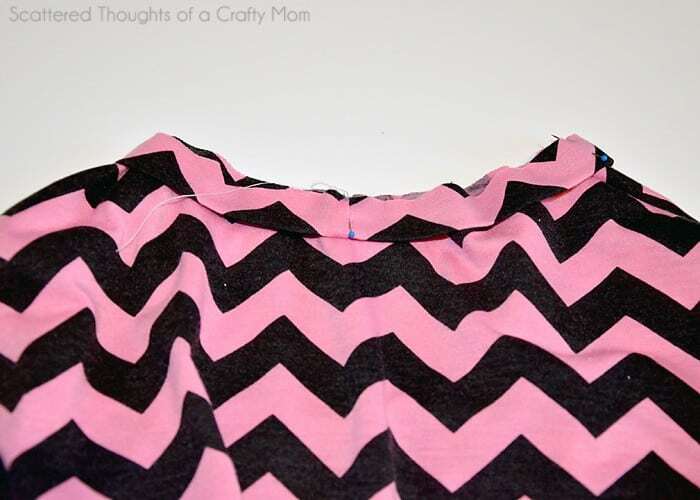 If you need more information on sewing with knits, I have quite a few tips and tricks in my Knit Tunic Top tutorial. 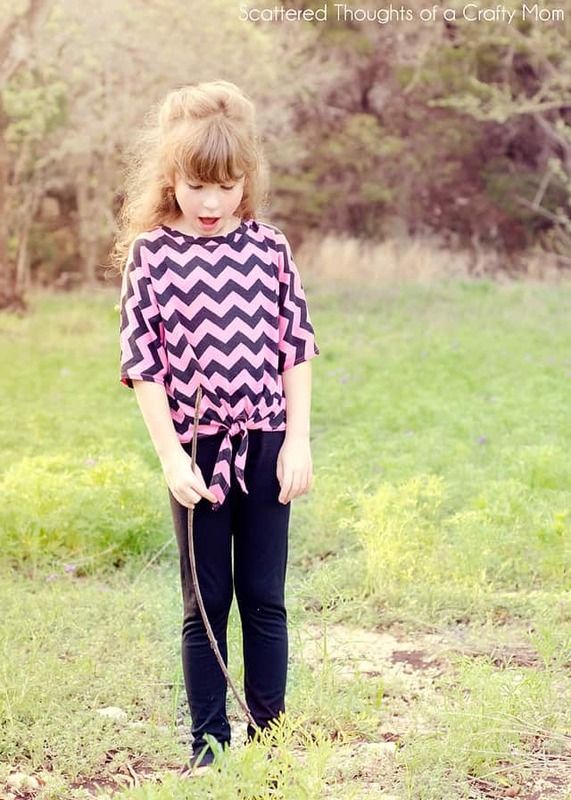 She looks so cute in this little outfit- totally trendy with the chevron print top and leggings. 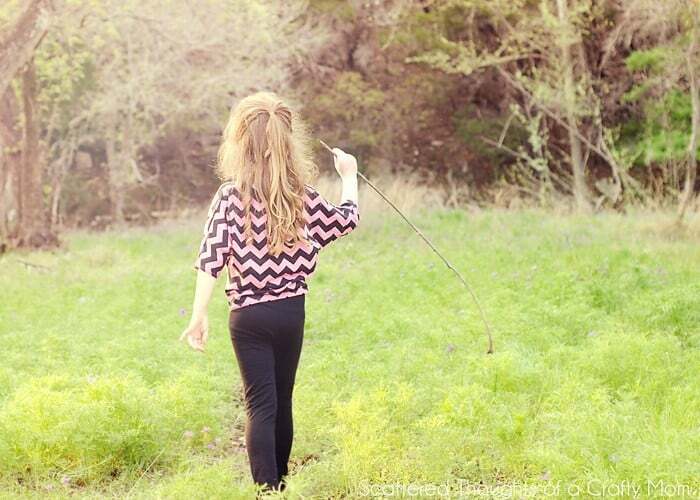 (I blogged about the leggings here). I was a tiny bit concerned about the leggings being too sheer, but I had her give them the “official lululemon test” before wearing them to school. Luckily, they passed. Would you like to give this top a try? 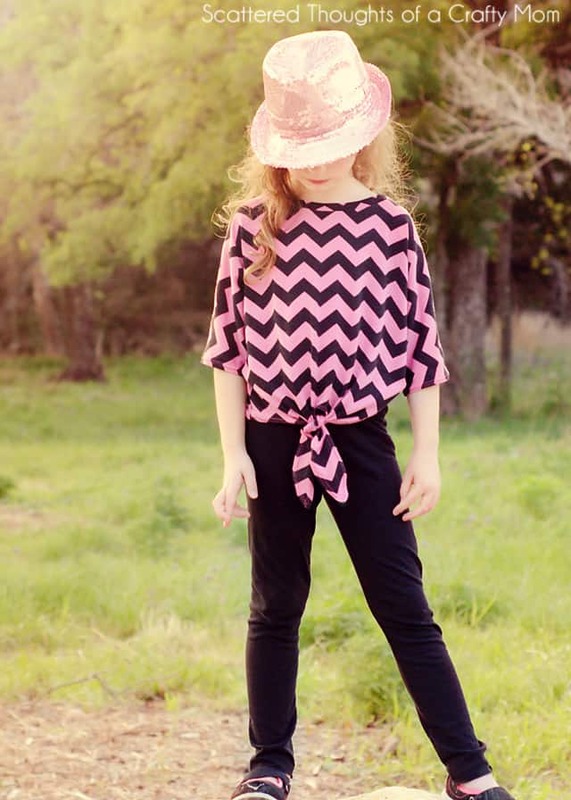 I have included the top pattern in a size 4/5 and 6/7. 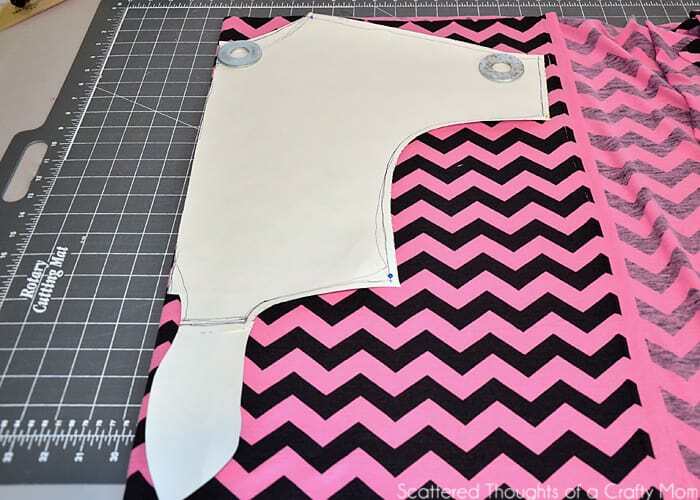 Also, I haven’t done it yet, but I will attempt to downsize the pattern to a size 2/3, so be sure to check back later. 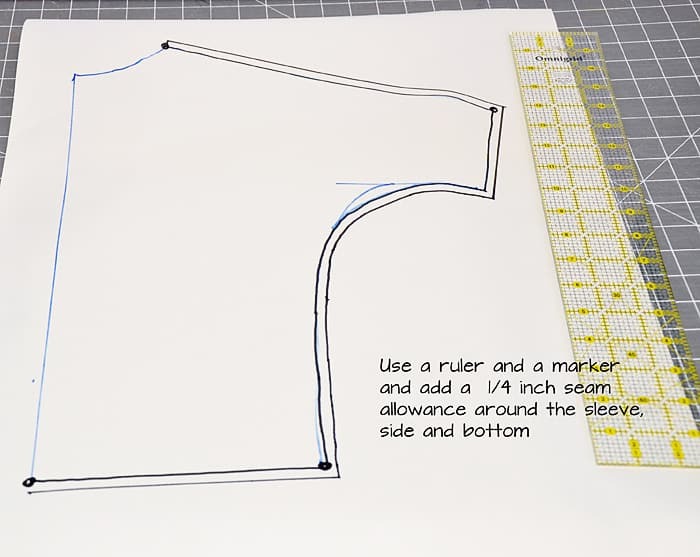 To make the pattern, follow the steps in the pictures below. 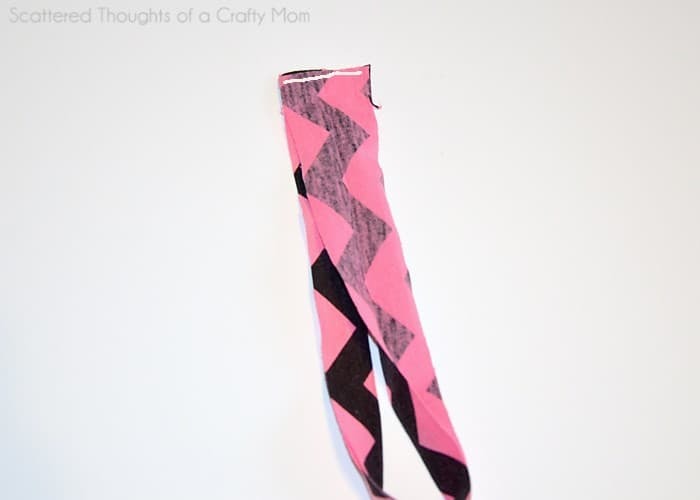 Even if you are making a different size, you can print the pattern for the ties as a guide to draw your own. 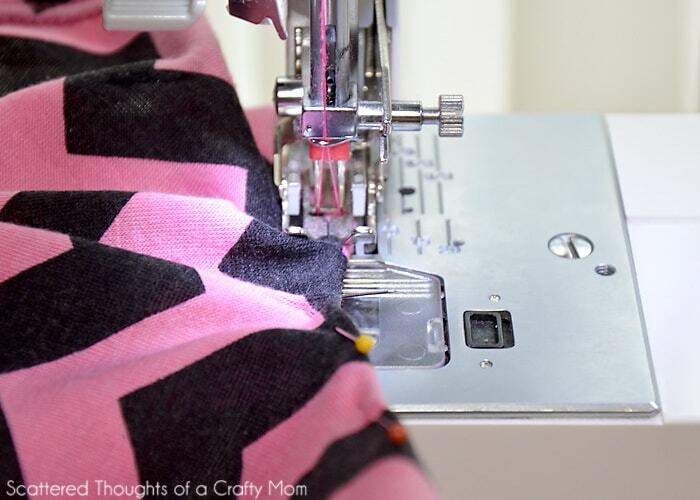 Step 2: Cutting the fabric. 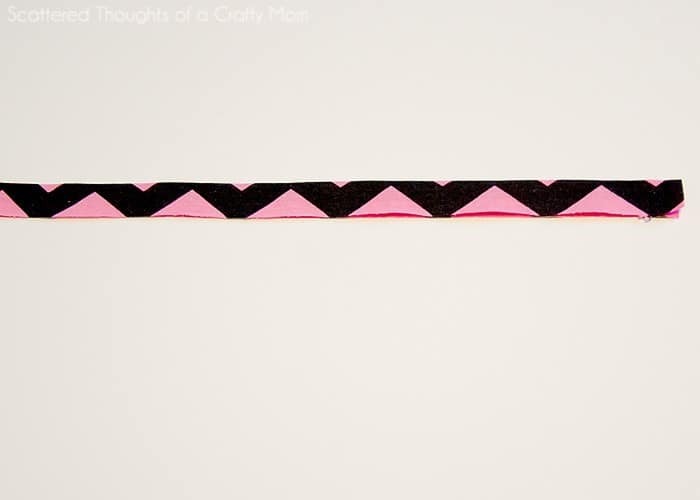 Fold this strip in half wrong sides together and press. 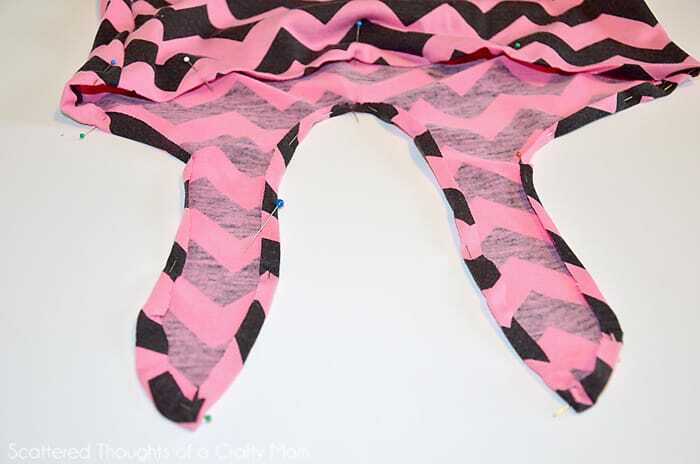 Using pins or a fabric marker, divide the binding into 4 equal sections and mark the spots. 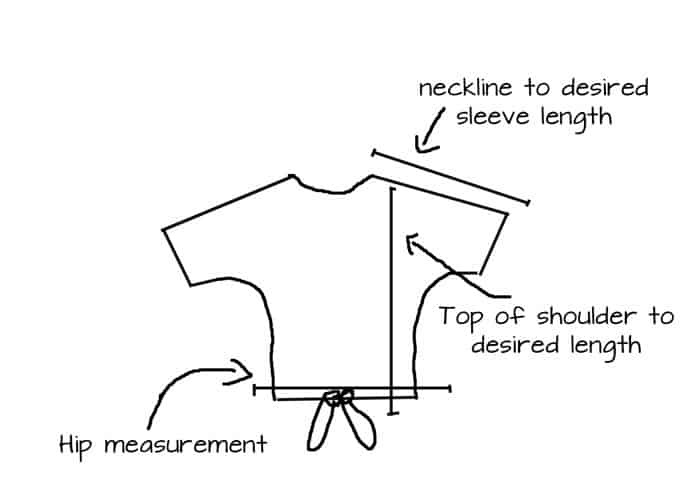 Do the same thing on the t-shirt neckline. 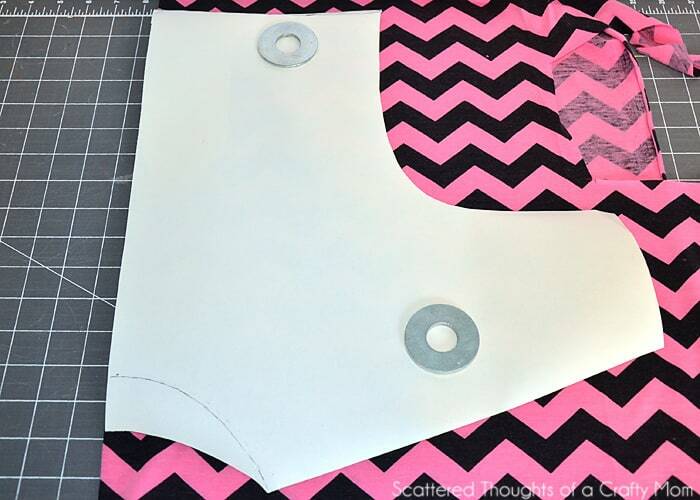 Keep in mind, the shoulder seams will not be the exact halfway point because the front neckline is slightly larger because of the dip. 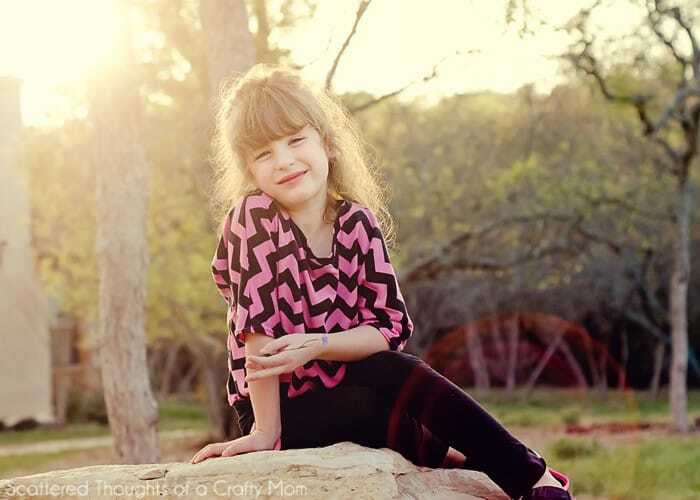 This is SOOO cute that I may have to try to see IF I can draft one from your instructions for an 18″ doll since they’re my pseudo-grandgirls for the moment! TFS!! !